Like the Wombat for W - the Emu pattern is by Barbara Lennon from the Cleckheaton booklet "Wildlife in 8 ply" (out of print unfortunately). I'm using the same 8 ply yarn as for wombat and kangaroo - with some contrast naturally brown / undyed wool for the legs & feet ... 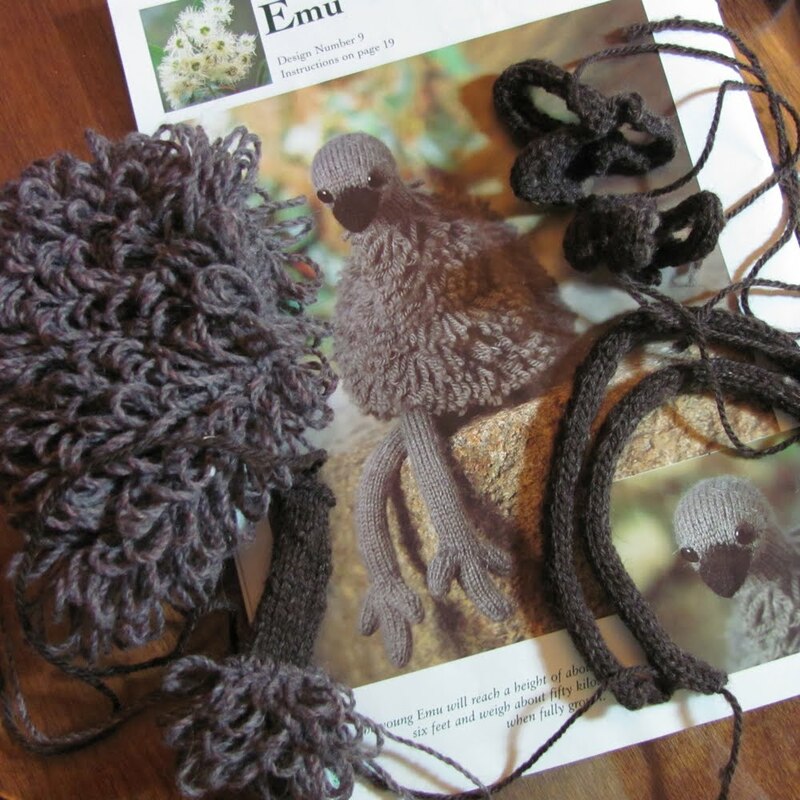 I am adapting to make this emu about 1/2 the size of the original pattern and I've made the legs as Icords. And here is a sneak preview of some knitting I've been commissioned to do for a theatrical production due to open in Sydney about March / April next year. 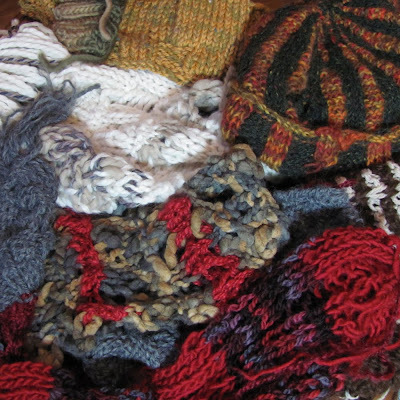 Lots of knits, mostly scarves and these are some of the samples. 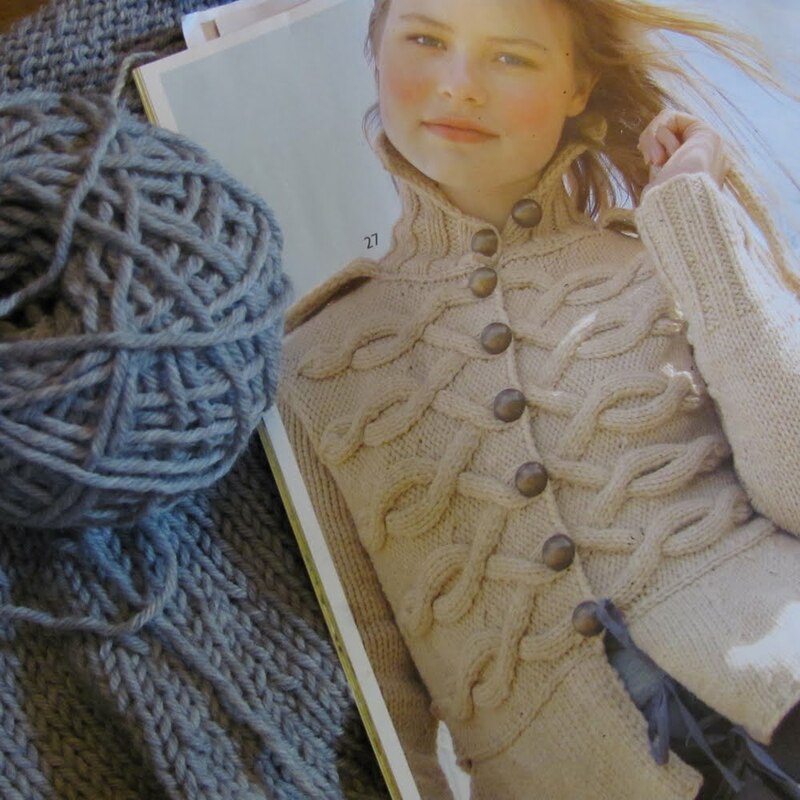 The designer is Julie Lynch - the way she uses and colours and textures is wonderful! Because most of the characters in this show are really poor people; the knitting has to be tatty, "dirty", holed, poorly fitting, badly knitted ... so folks, those holes and dropped stitches are deliberate ... really !! 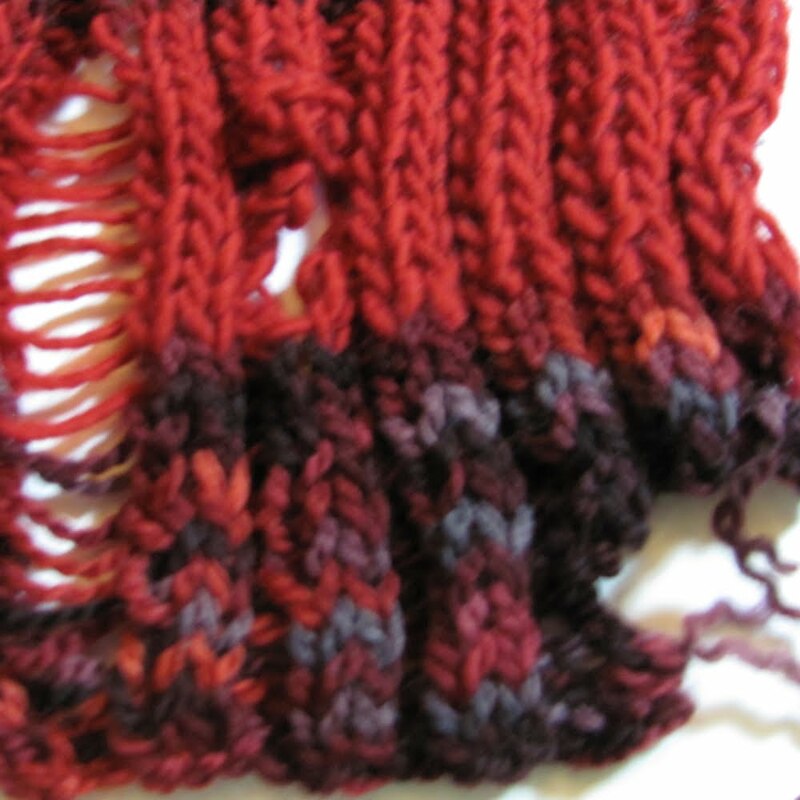 This red scarf has even been EATEN! Yarn Dear - Oh Deer!